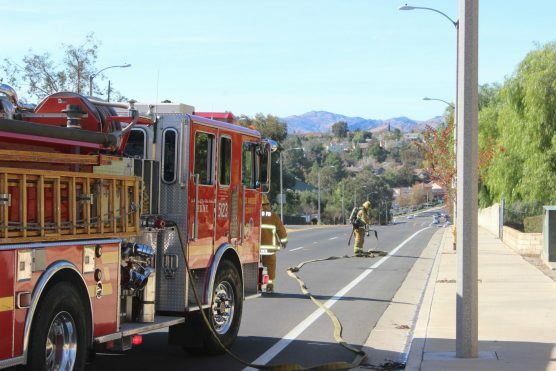 Two underground equipment failures near Copper Hill Drive and Gold Canyon Drive in Saugus have left 2,343 customers without power, according to a Southern California Edison official. Residences, businesses and traffic signals are affected. As of 2 p.m., it was not known when power would be restored, said Mary Ann Milbourn, SCE media spokesperson. The first failure occurred at 12:11 p.m. and initially killed power to 2,110 customers, Milbourn said. After about 30 seconds, power was restored to all but 1,711 customers. The affected area is bordered by Discovery Ridge Drive on the north, Copper Hill Drive on the south, Paragon Drive on the east and San Francisquito Drive on the west, she said. The second failure occurred almost simultaneously and cut power to 2,097 customers, Milbourn said. As of 12:34, only 632 customers were still in the dark. The area affected by the second outage is bordered by Discovery Ridge Drive on the north, Conway Place on the south, Cedar Canyon Street on the east and Touchstone Place on the west, she said. The Los Angeles County Fire Department received a call at 12:13 p.m. and units arrived on the scene in about 15 minutes, according to eyewitness accounts. Milbourn said she could not confirm reports of a transformer fire. FOR UPDATES ON POWER OUTAGES, visit SoCal Edison’s website. Some of the huge fires in California are a result of poor maintenance by DWP of their power lines and equip. Since we in SCV have the corridor of towers through our town I hope city council is in talks to ensure our city is safe and maintenance is ongoing.